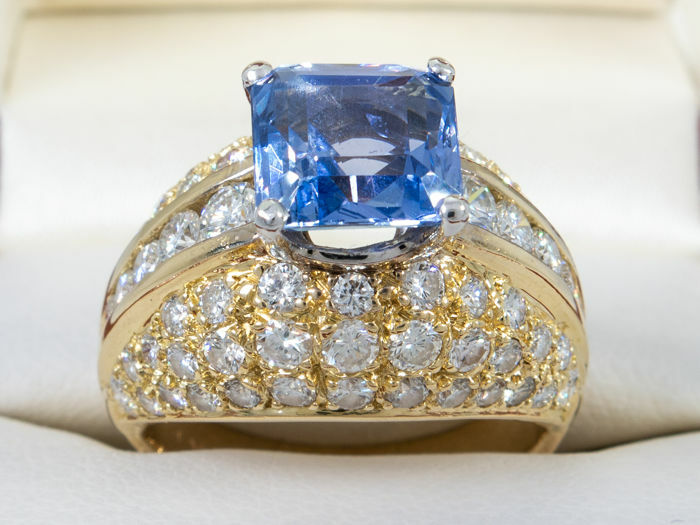 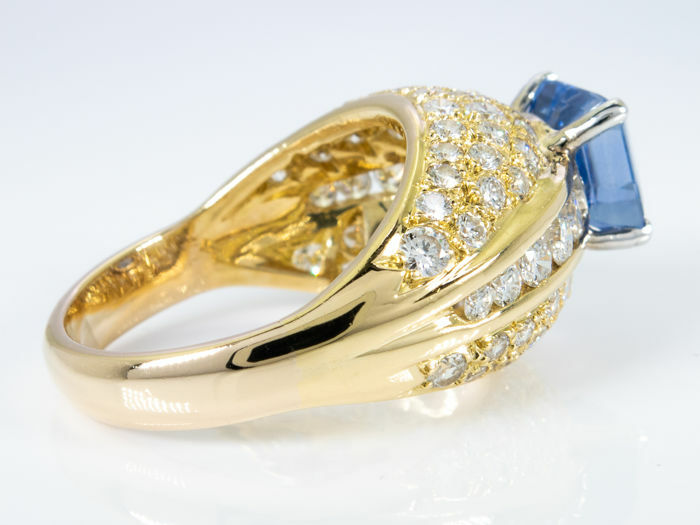 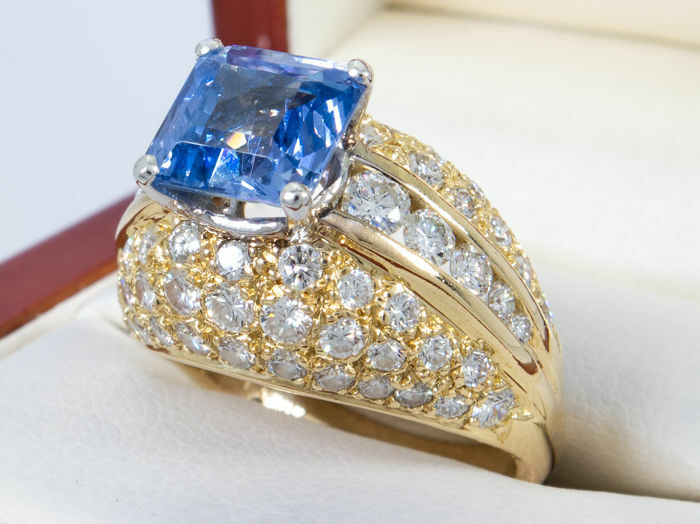 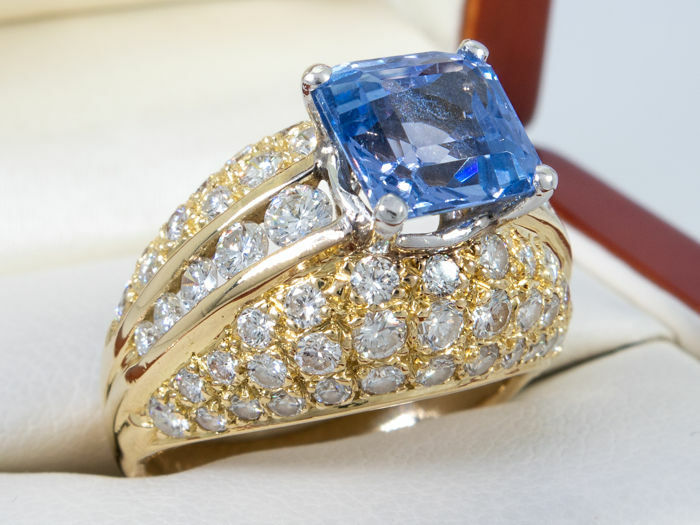 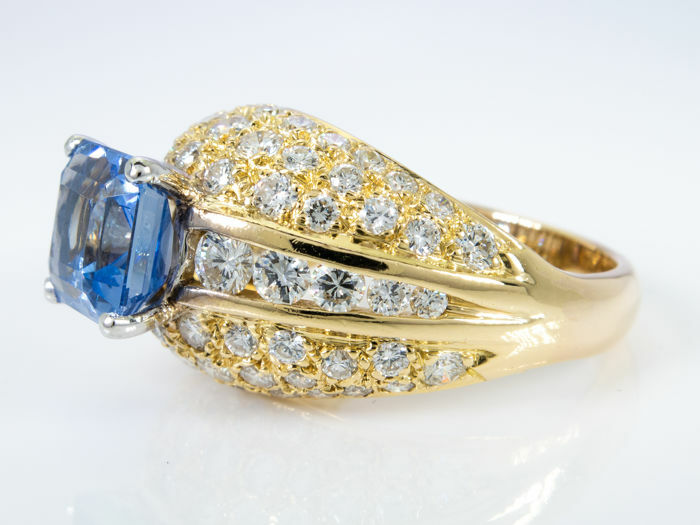 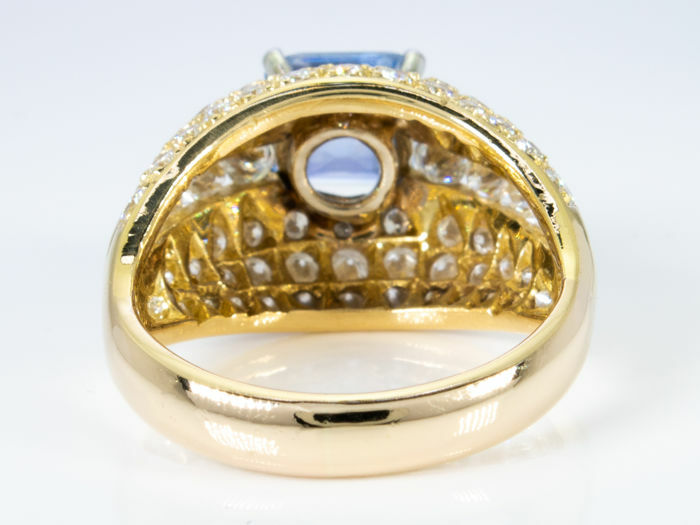 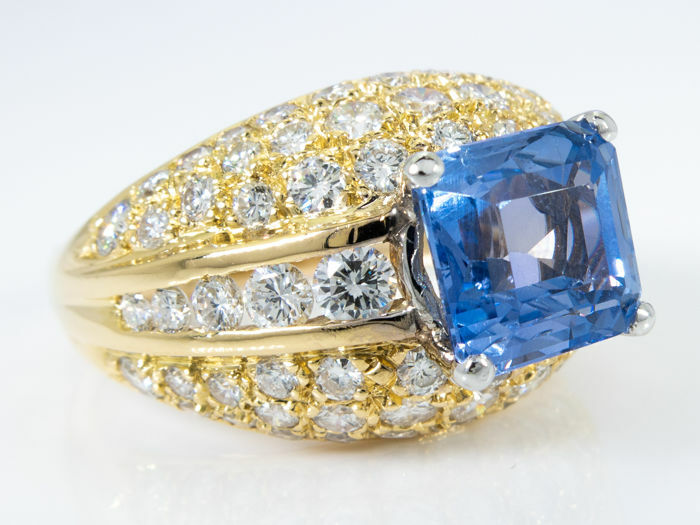 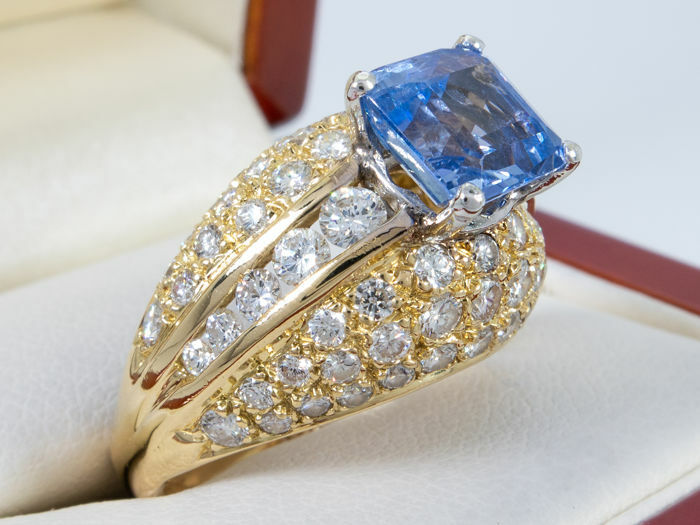 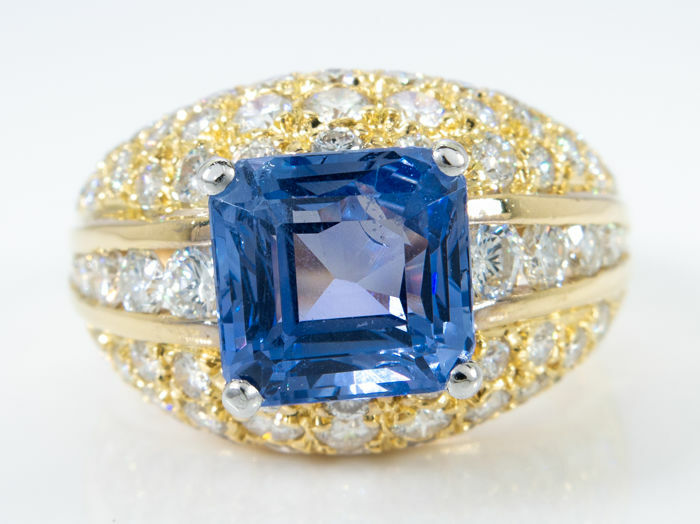 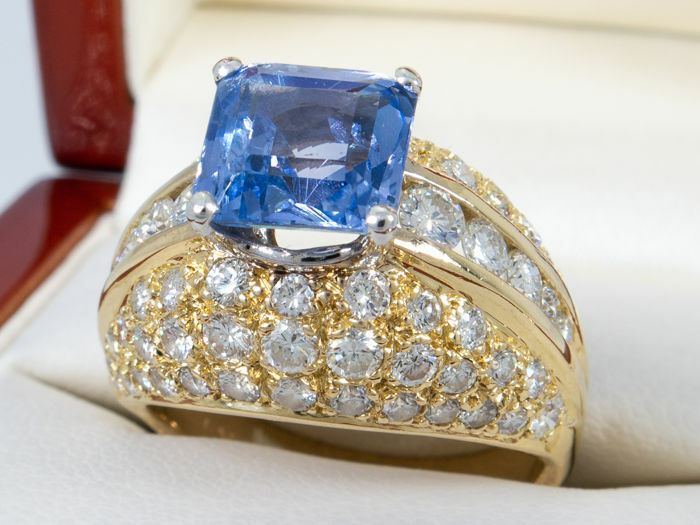 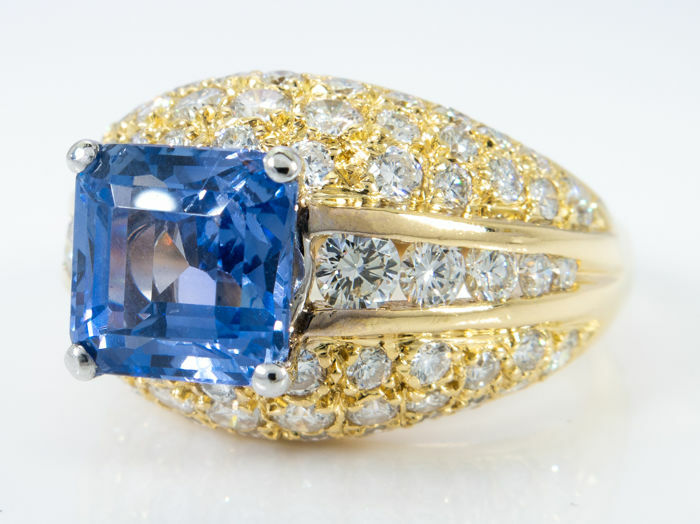 An imperial ring with central a unheated blue sapphire of 3.07 carats. 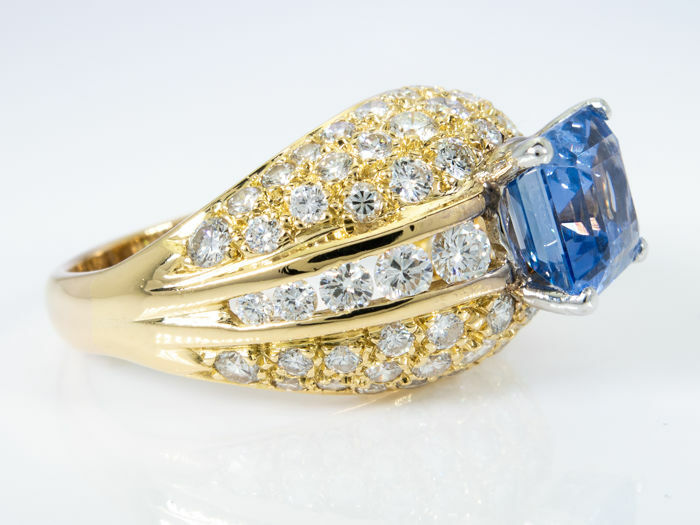 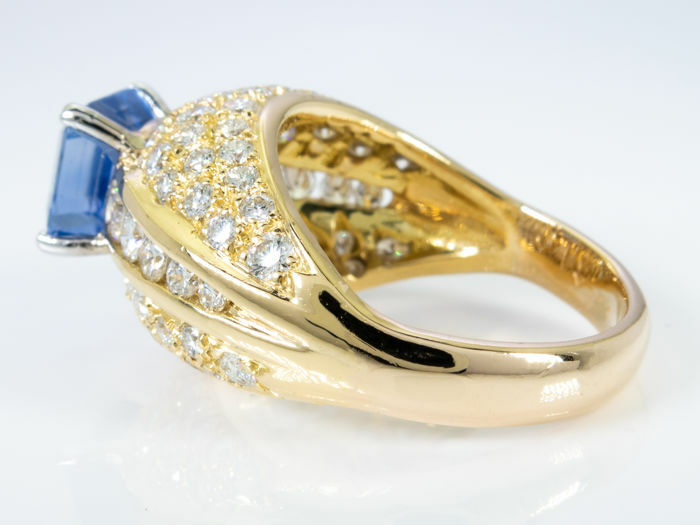 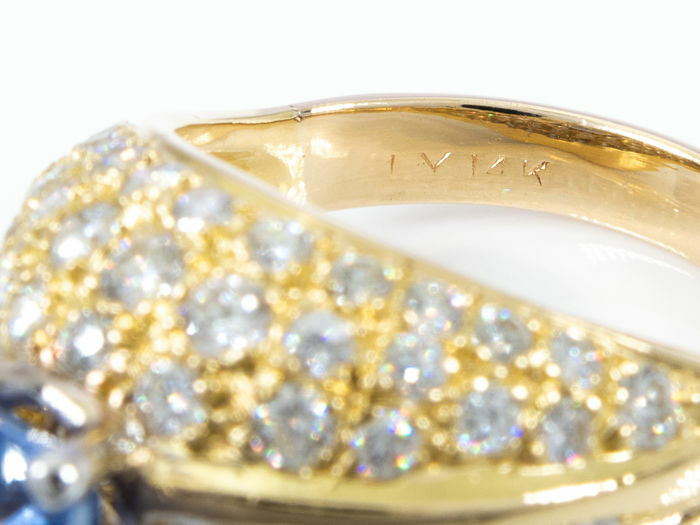 Accompanied by high quality diamonds of 2.00 carats. 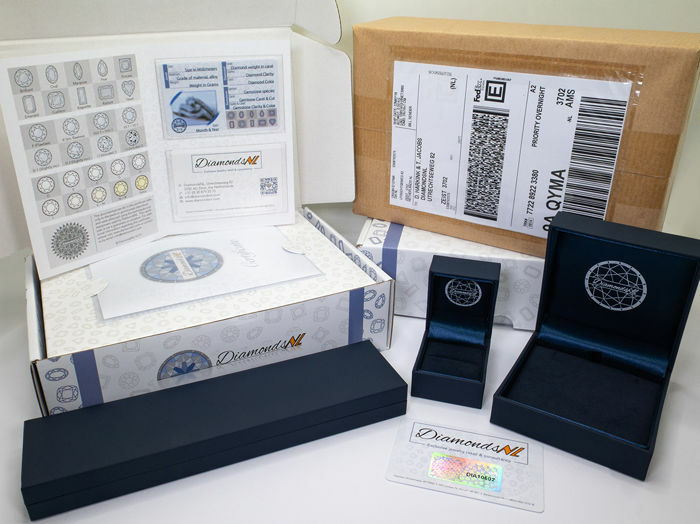 Sent in a stylish, luxurious packaging accompanied by an authentic, secured DiamondsNL certificate and a luxurious ring box. 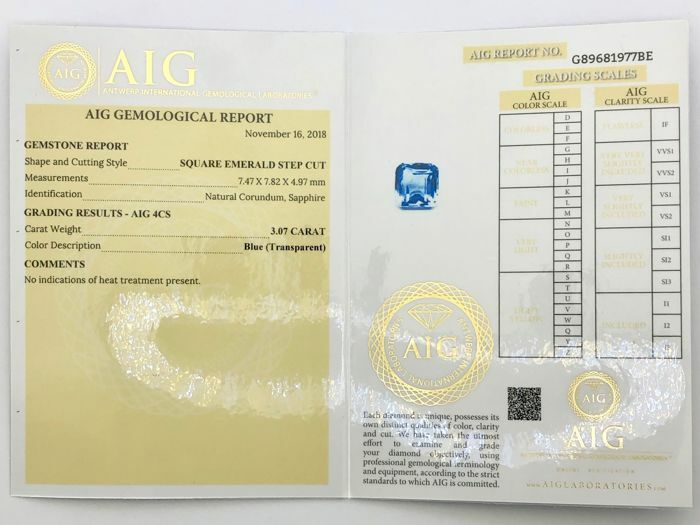 Also comes with the AIG certificate.